Picture 1: Nyayaratna-Bamadevi (Bandhusundar's parents) temple is located beside the Gambhira Temple. 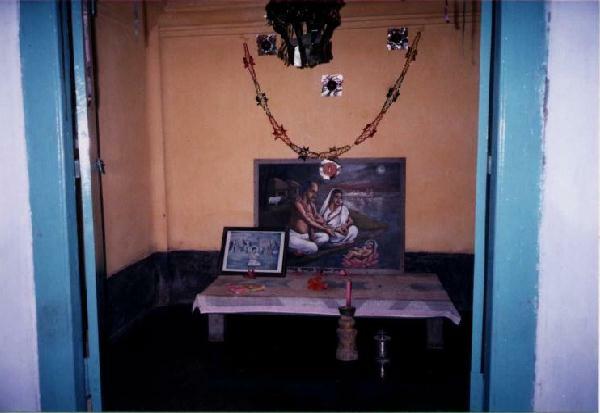 This temple has a picture that shows how Bandhusundar came to his parents as a new-born child (Picture 4). 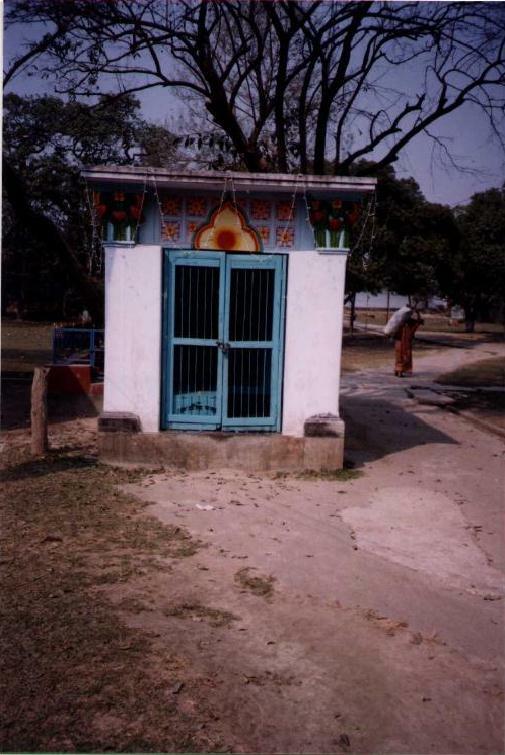 Picture 2: The 'Panchabati' (plants of five trees, such as Aswatha, Bat, Bilva, Dhatri and Asoke in a group) planted by Prabhu himself and later looked after by the resident brahmacharis. 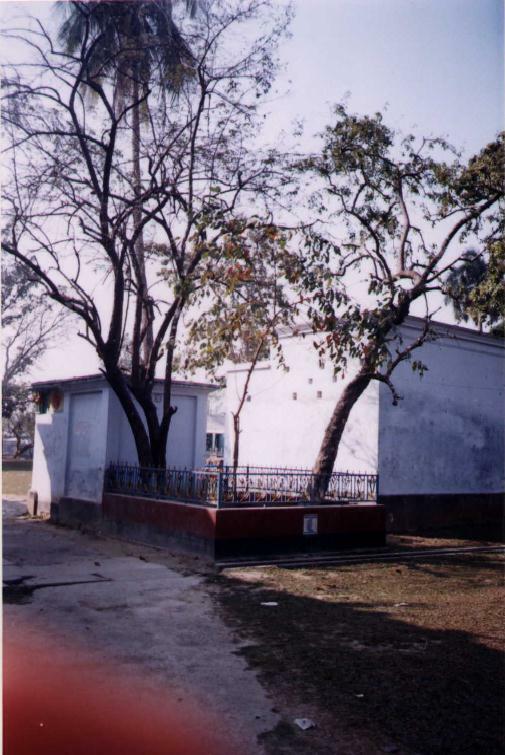 One of the trees fell on the edge of the house in which Prabhu's boat is kept for viewing by the visitors (Picture 3). Many of Prabhu's close associates and devotees and some fortunate ones to have Prabhu's camaraderie in this boat. 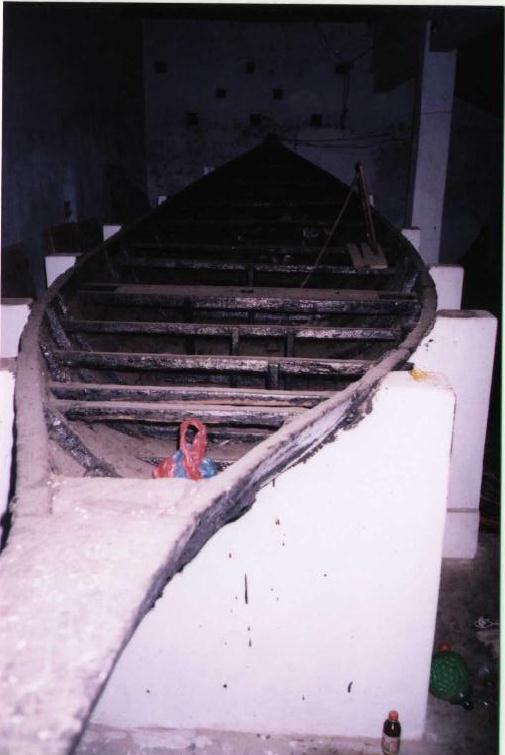 This boat used to be plied by the devotees along the water passages of Faridpur.